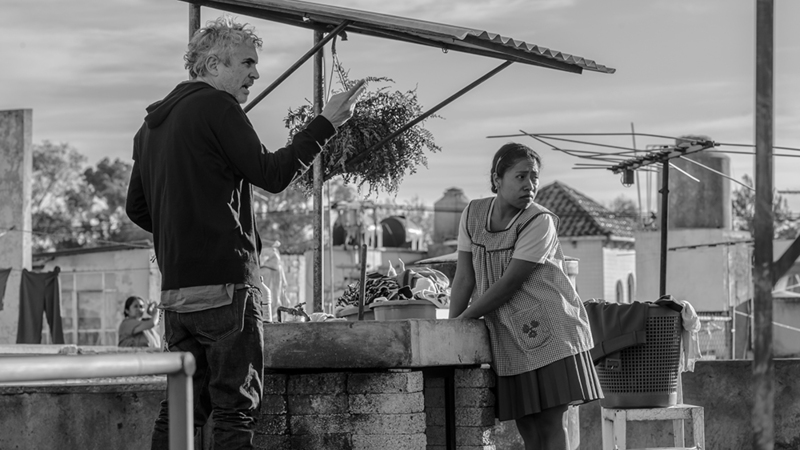 Alfonso Cuarón continued his winning record for Roma, snagging the Directors Guild of America’s Award for Outstanding Directorial Achievement in Feature Film for Roma at the 71st Annual DGA Awards. He won the DGA Award for Outstanding Directorial Achievement in Feature Film in 2013 for Gravity. Bo Burnham won the Award for Outstanding Directorial Achievement of a First-Time Feature Film Director for Eighth Grade; and Tim Wardle won the Award for Outstanding Directorial Achievement in Documentary for Three Identical Strangers. This was Mr. Horvitz’s nineteenth DGA Award nomination. He won the DGA Award for Outstanding Directorial Achievement in Musical Variety in 1997 for The Kennedy Center Honors. He was also nominated for TheKennedy Center Honors in 1993, 2001, 2009, 2011 and 2014. In 2013, he was nominated for The 55th Annual Grammy Awards and was previously nominated for The 70th, 71st, 72nd, 74th, 75th, 76th, 77th, 79th and 80th Annual Academy Awards, along with Sinatra: 80 Years My Way in 1995 and Live Aid Concert in 1985.